Every dog owner knows how much happiness food can bring to a dog's life. However, when your dog refuses food you just know that something is missing. Discover reasons for food rejection and learn what action steps to take and help your dog eat, be happy and healthy. It is difficult to imagine any animal loving food more than a dog. They are such food-lovers. Our canine friends would even eat the food that’s bad for them. They could eat anything and they want a bit of everything. However, occasionally dog may lose interest in his food. That’s a clear sign that you need to do something and to think about appetite stimulants for dogs. If your dog believes that your food is yummier than his, you are in a treat for some food begging. If your furry buddy doesn’t show any interest in what you’re eating or in his own food, you should take time and check if there’s something wrong with your pet. It is crucial to follow your pet’s habits and to make sure that everything is ok with your dog. 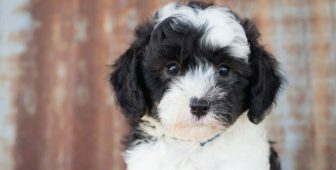 What Causes Loss of Appetite in Dogs? It is hard to believe, but dogs can actually refuse food. Occasionally, even for days. The number of factors for this refusal diverse from time to time. 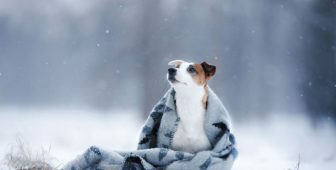 A dog can refuse food for a short period of time, to skip a meal or two, and these short periods of fasting in dogs are usually related to a minor illness, anxiety, or even a bad meal. 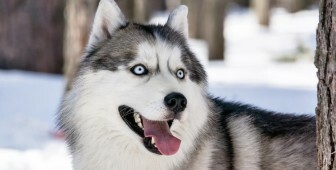 These short periods of fasting are related to dogs connection with wolves. Wild animals, including wolves, have a tendency of fasting when they don’t feel good. Benefits are seen in removing unwanted diseases, viruses and any form of harmful substance. Next, long periods of food are a sign of serious underlying issues. The important thing is not to overreact at first skipped meal. Estimate your dog’s daily food intake. 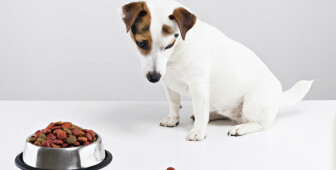 Don’t hit the panic button yet if it seems that your dog isn’t eating enough. However, if your dog hasn’t eaten in more than two days it’s the time to hit that panic button and rush to the vet. 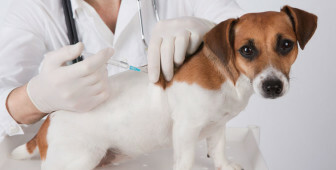 A veterinarian is the only one that can confirm if your dog is sick or not, therefore until the vet says the true cause of your dog’s appetite you can’t know it for sure. So, before you find the perfect food stimulants, make sure to determine the cause, and there can be a number of reasons that may be more or less serious. A dog can stop eating due to slight and more serious reasons. As you can see, reasons are many and each one is treated with a custom approach and solution. You need to be well aware of the fact that even minor symptoms can lead to serious problems if not treated on time. Try to follow up on your dog’s food intake on a daily level and make sure to know for sure exactly how many meals did he skipped and for how long. Simple said, confirm that the dog is definitely suffering from a disorder in eating habits. Bear in mind that most of the veterinarian visits end with a conclusion that a dog has been eating enough all along, but you were just not aware of it. However, it’s a time to call the bet if your dog experiences vomiting, diarrhea, significant weight loss or even strange behavioral change. Your vet will probably, in that case, take a stool sample, ultrasound and run blood work. What Can You Give a Dog That Won’t Eat? When a dog refuses to eat for a longer period of time and it affects his health big time, his health is jeopardized. Without consuming enough calories dog is not capable of maintaining a healthy weight. In these cases, the veterinarian will prescribe appetite stimulants in order to increase appetite and to get needed nutritional support. Appetite stimulants can include pharmaceutical, natural, and holistic options. 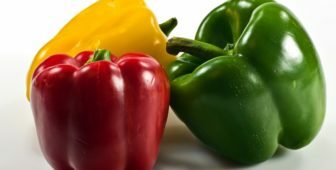 When it comes to natural appetite stimulants the first choice is usually raw food with some fresh ingredients to spark that appetite. 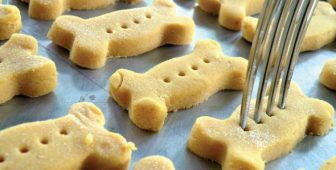 Although you will put all of your love and culinary skills into small cookie bones U.S. Food and Drug Administration Center for Veterinary Medicine doesn’t recommend doing this on your own. There is always a high risk of bacterial contamination or even public health risks. However, you can try trick your dog to eat with his favorite treats. 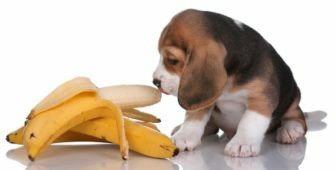 Is there a Vitamine to Increase a Dog’s Appetite? Long story short, YES! 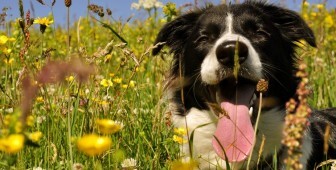 Vitamin supplements can be extremely effective for dogs. You can start with vitamin B or even multivitamins, but you should consult with your vet at first and act upon. However, for more severe conditions, medicines are usually prescribed. This is a simple, but yet extremely effective method to get your dog interested in food. It is widely known that dogs love to eat food with a strong smell. This is a good method if your dog’s food is mostly dehydrated. Hot or warm food is more aromatic and it just could be the best solution to inspire your dog to taste it. The aromatic smell makes food more alluring. Warm food should even interest the pickiest dogs about eating. For a cheap and simple option, you can lure your dog with chicken, especially if it’s roasted. This is so simple that people often forget it. 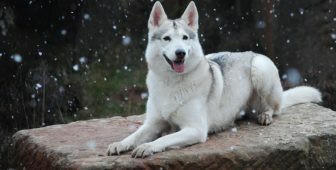 One of the great ways to boost your dog’s appetite is to maintain a regular level of exercises and to even increase it. Interestingly, longer and more demanding exercises are a great way to inspire your dog to eat. The body craves food that it has worked for. It’s just that simple. Get your dog a play buddy or a companion for longer night walks before the meal. A long walk before mealtime will tire up your canine friend and nothing recovers the body like good food and clean water. Dog loves his time on the couch, but they don’t love anything more than just being outside. Organize your pet active week, and for yourself as well. Long walks, daily game of fetch, or quality time with other dogs are the things that should keep your dog active, playful, and above everything – hungry. Exercise and proper nutrition is what keeps your dog happy and healthy. 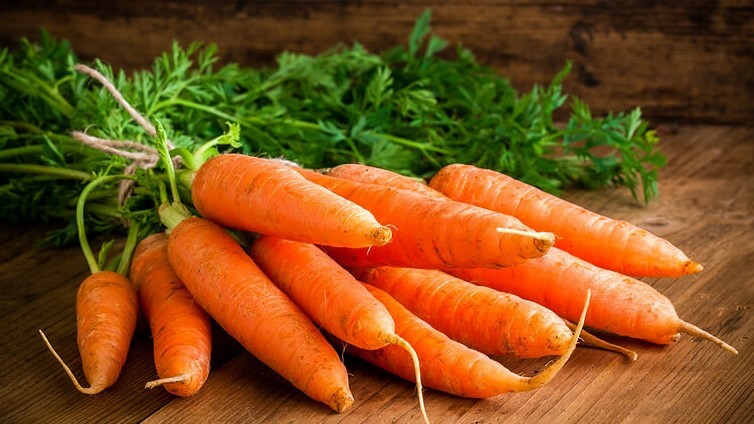 Herbs are one of the best ways to naturally improve your dog’s appetite. This method is always good to try before you go for medications. The best way to use herbs is to add them to your dog’s food and mix it up. It’s irrelevant if the food is dry or canned. Many dogs just love the taste of garlic, and practice showed that it’s highly useful for stimulating appetite in dogs. Entice your dog to eat with up to one-fourth of a teaspoon (depending on the size of the dog, of course). Use fresh garlic only. Chop it and add to his food. Don’t forget to just splash a little herb on the food. Don’t put too much. 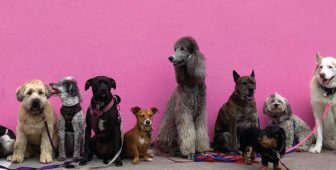 People that prefer natural appetite stimulants for dogs are fond of using essential oils to get their canine buddies to eat and remain healthy. 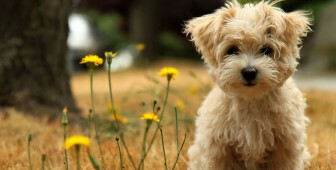 Pick of essential oils is extremely rich and you can find oils like rose, and grapefruit which is healthy for your pet. Rose and vetiver are usually the first choices when it comes to increasing your dog’s appetite. The important thing with oils is to know that it doesn’t work on principle – one cure for every illness. Various oils are for different causes. 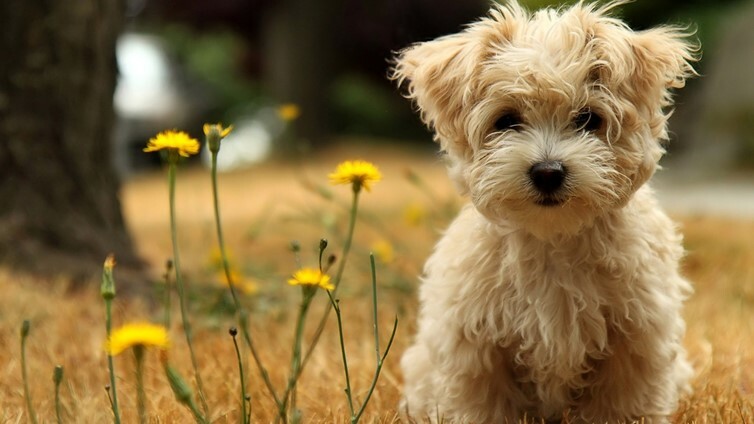 If your dog doesn’t eat due to stress, you should use relaxing and calming oils, like Lavender (Lavandula angustifolia) and Roman Chamomile (Chamaemelum nobile). If your dog struggles with digestive issues, you should pick oils that offer digestive support, like Peppermint (Mentha x Piperita) and Ginger (Zingiber officinale). On the other hand, for an inactive appetite, use Citrus oils, like Sweet Orange (Citrus sinensis) and Grapefruit (Citrus paradisi). Make sure to know what bothers your dog in the first place and pick essential oil accordingly. Acupuncture is great for reducing the pain, together with nausea and inflammation. Dogs that benefit the most from this are dogs with specific medical conditions such a liver failure, hormonal conditions, kidneymedications, liver failure, and also Addison’s disease. It is confirmed in practice that acupuncture helped many dogs get their appetite back after just a few acupuncture session. Meclizine is an antihistamine that is prescribed not only for bad appetite but for motion sickness as well. This drug can come only through prescription. You should know that some side effects are possible with this medicine, like nausea, vomiting, or diarrhea. This agonist is one of the newest medicaments on the market with a primary function to make the dog feel hungry. Ghrelin Receptor Agonist binds to ghrelin receptors and sends unique signals to the brain to cause the ‘hungry’ feeling. Last but not least, CBD (cannabidiol) is available for those living in the States. CBD products are manufactured for pets specially and they made quite a boom onto the veterinary scene. Many benefits include reduction of diverse pain and increased appetite. Make sure to ask your veterinarian for product recommendations. So, if you’re asking yourself still if appetite stimulants work for dogs, the answer is yes. 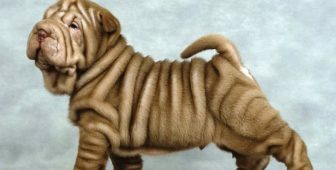 But you need to find what works for your dog’s condition the best and you need to do it in consultancy with your vet. Appetite stimulants for dogs are a valuable tool if your dog experiences a sudden loss of appetite. Considering the fact that your dog’s good appetite is crucial for your dog’s health and overall a dog’s well-being, appetite it a sure and helpful indicator of your pet’s health. Try some simple tricks to get your dog to eat, use treats or try another food. If that doesn’t work make sure to talk to your vet about different options to encourage your dogs eating. After all, what we don’t see in our dog’s nutritional habits is seen in the long run, and has a long-lasting impact. Therefore, it’s imperative to ensure that your dog is getting the best possible supervising regarding nutrition.